LOS ANGELES (TheWrap.com) - "Pretty Little Liars" racked up some pretty big numbers with its summer finale Tuesday. The ABC Family series pulled in 3.3 million total viewers, making it the most-watched summer finale in the series' history, and a season high for total viewership. In the 18-49 demographic most important to advertisers, "Pretty Little Liars" drew 1.8 million viewers - also a high for summer finales and a best for the season. In the social-media realm, the "Pretty Little Liars" finale also fared well, becoming the "most tweeted" series episode in television history with almost 1.9 million tweets. The tweeting spiked at 70,000 tweets per minute during the last minute of the episode. 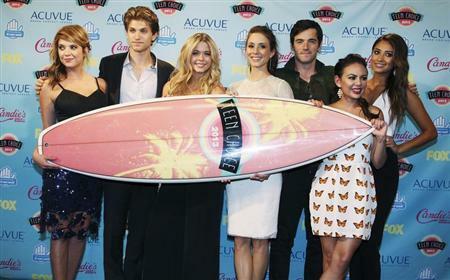 "Twisted," which followed "Pretty Little Liars" with its own summer finale, drew 1.6 million total viewers, with 743,000 of them in the demo.